Background: Patient self-management (PSM) of anticoagulation, which is primarily based upon the premise that more frequent testing will lead to tighter anticoagulation control and thus to improved clinical outcomes, is a promising model of care. The goals of this paper are (1) to describe the strength of evidence correlating more frequent testing with improved outcomes; and (2) to discuss implications of these findings for the design of randomized controlled trials (RCTs) assessing the effectiveness and cost-effectiveness of PSM. Methods: We performed two literature reviews: one examining the strength of the relationship between time in target range (TTR) and the clinical outcomes of major bleeding and thromboembolism; and the second examining the strength of the relationship between frequency of testing and TTR. Results: We found that (1) the relationship between TTR and clinical outcomes is strong, thus supporting use of TTR as a primary outcome variable; and (2) more frequent testing seems to increase TTR, although the studies supporting this latter conclusion were relatively few and not definitive. Statistical analysis suggested that a study which uses clinical event rates as its primary outcome would need to be much larger than a comparable study which is based upon TTR. 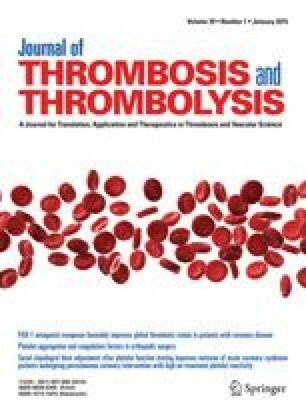 Conclusions: When designing randomized trials of PSM, the design should (1) use as its control group high quality anticoagulation management rather than usual care; (2) include the maximum possible amount of self-management in the intervention group; (3) include different testing intervals in the intervention group; (4) use TTR as the primary outcome variable and event rates as a secondary outcome; and (5) base the sample size calculations upon a 5–10% absolute improvement in TTR. Additional RCTs are needed in order to determine how the promise of PSM can best be fulfilled.